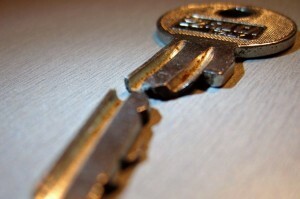 Home → Blog → Cornwall locksmith saves the day. Cornwall locksmith saves the day. Cornwall locksmith saves the day, as the title says we often have to help people out of very awkward situations, one such incident occured one night last week, when a lady phoned us about 7.30 in the evening in a real pickle!! As usual it’s always raining and windy when you get these jobs and always right when you’ve just put your feet up with a nice cuppa!! 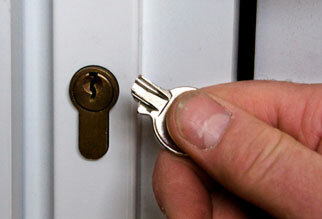 Broken keys can be removed normally without lock replacement call the key machine your local cornwall locksmith! The lady concerned works shifts and had left to go to work visting elderly people in the penryn, falmouth area, when heading out in her haste she had unfortunately snapped the cylinder key (often called Yale key) off in her front door lock, knowing she would be getting back later that night and being the only door in she needed it sorted asap. She phoned us whilst out on her rounds and we headed straight down, giving her enough time finish with the person she was with and meet us in between seeing her next one. Luckily it was a straight forward job this time, we extracted the broken key from the lock, and using the two halfs were able to get a clean key cut which worked the lock perfectly, saving the lady from having to replace the lock cylinder. We will only change locks or replace locks if there is no other option, lots of companies seem to feel the need to do this when it’s not necessary. Broken keys an all to common sight for the key machine, your local cornwall locksmith! She then told me about the first company she called (I wont name and shame) but it’s a company that advertises all the local towns in cornwall but is actually a call centre based up country, which will then try and sub contract the work out to a local cornwall locksmith if they can find anyone willing to undertake there work and there terms. Locks wont get change to bump job price up. They will often have to call you back to give you an engineer arrival time (and quite often cancel when they cant find anyone to sub contract). Most people now find us via the internet, our site is fairly simple and constantly being improved and updated all the time, you wont see claims to be at every job within 30mins, we wont make claims to be the cheapest, we wont babble on about being “not vat registered”. However what the Key machine will claim is that we will try to offer the best, most reliable and competitive locksmith service to local towns throughout west cornwall that we can. For more information about any of our service feel free to call us on 01326 376338 or via our contact us page.